Forms are an essential element in the management of every organisation and exist as part of an integrated business information system – resulting in the facilitation of efficient, timely and accurate management reporting. The common activities within every organisation are known as the ‘9 Key Operations’. 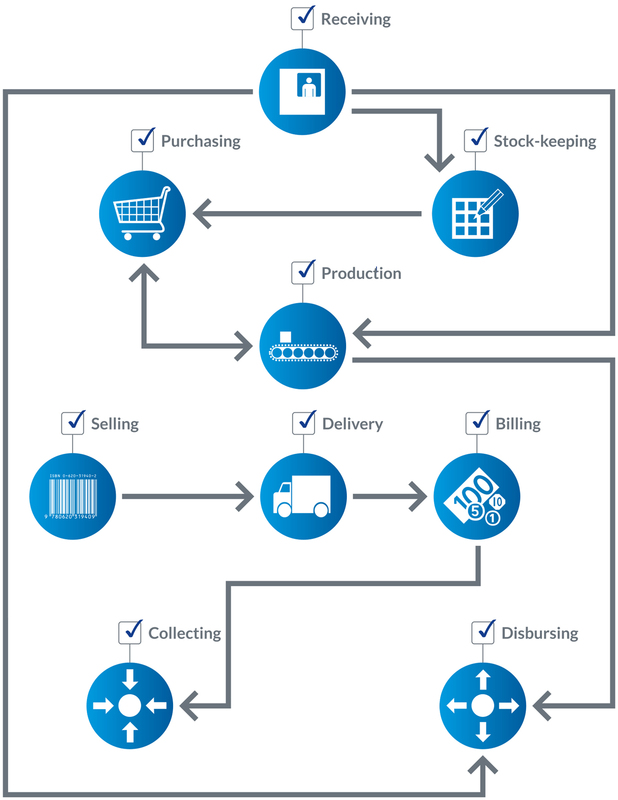 These key operations are interdependent – each requiring the data and procedures provided by the others – with business forms providing an effective means of managing and communicating this information. The professional and effective design of a form requires the thorough analysis of the system within which the form will be used – a detailed understanding of the various integrated elements and complexities of the business systems and operations is required in order to provide effective business forms. Lithotech will design a cost-effective solution that streamlines your document flow, incorporating appropriate aesthetic and security features, while ensuring that your company image is maintained. Lithotech’s SmartPaper® solution offers a systematic review of an organisation’s forms and associated processes for the purpose of streamlining workflows, optimising efficiency and reducing costs. Through this process, forms are made to be more effective through improved design – resulting in a reduction of paper and an increased efficiency in the circulation of information. Lithotech has developed and perfected a comprehensive range of products and features designed to combat fraud in documents such as cheques, gift vouchers, certificates, title deeds and licences. These features include micro printing, anti-photocopy design features, visible and invisible fluorescent inks, watermarked paper and special packaging. Lithotech will design and manufacture security documents incorporating anti-fraud security features appropriate to your specific needs. Lithotech is accredited by the CMSA (Cheques and MICR Standards Authority). Lithotech offers a full range of solutions for the confidential communication of payroll information – from the most basic to the most streamlined system, we have a solution to suit your requirements. Pay advices can be customised to suit your specific requirements. Continuous wage envelopes can be processed through a continuous printer and offer a pocket for enclosing the wage payment as well as a self-seal glue strip for secure sealing. Continuous pay advices are multi-part forms that facilitate simultaneous completion of the recipient’s name and address on the outside and confidential payroll information on the inside. Perfect for small-volume applications, ‘Peel-&-Seal’, our unique laser payslip, incorporates an adhesive that is protected by silicone-release paper, which, when removed, facilitates easy and secure sealing. Pressure Seal is a complete system with forms and equipment that are designed to work together to offer a flexible, reliable and economical package. The special glue used in Lithotech’s pressure seal forms is endorsed by every major computer printer company worldwide. No consumables are needed. Pressure – exerted by rollers in the pressure seal machine – results in corresponding glue patterns on the form to stick together to form a secure, sealed envelope. The document is imaged, folded, sealed, and then becomes its own carrier – with guaranteed integrity and security, and without the added cost of consumables. Forms can be supplied in continuous or cut-sheet format. Lithotech only uses papers whose characteristics guarantee that the forms will remain stable throughout the finishing process, while still holding their sealing ability. A number of fold types are available. View the different fold types and their characteristics. Lithotech offers a full range of mechanised pressure sealers – from low-volume desk-top models to high-volume departmental models. Our high-volume sealers offer the highest hourly-rated volumes on the market, with an ease of use for all operators; medium-volume sealers are exceptionally reliable and user-friendly workhorses for any remote installation; and our low-volume sealers are ideal for a small office environment where a small foot print and quiet running speeds are essential. View our equipment range and machine specifications.